Galactic Anthems is the creation of composer Glenn Adams. Adams was born in Brooklyn, NY and raised in Pearl River, a suburb of New York City. He started his musical life at age 10, taking trumpet lessons and playing in the school band. By age 15, he was composing big band music for his high school jazz band. After returning to school and getting a B.A. in composition, Adams decided to plunge into the world of electronic music. After returning to school and getting a B.A. in composition, Adams decided to plunge into the world of electronic music. At first he did all his electronic exploration on tape; 2-track, then 4-track and finally 8-track. In 1985 he picked up the second version of the Apple Macintosh, the 512K Fat Mac. He also started to use MIDI software, which was in its infancy at that time. With New York pal Jeri Conway, Adams formed the electronic duo Atlas, and released a self-titled album in 1990. It wasn't until the late-90s, when hard disk recording and disc burning became more affordable, did Adams consider releasing his own material on CD. The first Galactic Anthems CD is a combination of pieces recorded during the early 90s and new material recorded from 2000-2002. This CD received critical acclaim from such review sites as EER-Music.com, SonicCuriosity.com, WindandWire.com, and AmbiEntrance.com. 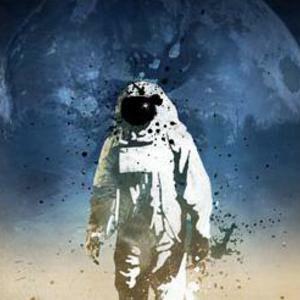 The newest release from Galactic Anthems is called Semper Fidelity and was released in 2007. Writing for Keyboard Magazine, Associate Editor Michael Gallant says, "Here at Keyboard Central, Galactic Anthems' grand, synth-orchestrated project is a new one for us ? a comic book soundtrack. Bringing to mind Amin Bhatia's Interstellar Suite, Semper Fidelity uses older instruments like the Yamaha DX7 and E-mu Proteus 1 and 2, as well as soft synths like Native Instruments Absynth and Atmosphere to create an engrossing soundscape that's majestic, fun, intense, and campy ? in other words, perfect comic book accompaniment. Speak of the devil, the enhanced CD comes with PDF files of a full-color comic tale, created by sci-fi storyteller Matt Howarth. Reading and listening simultaneously is an engaging, trippy experience for sure. For crafting great mood music ? and using it in a quirky, entertaining context ? Galactic Anthems (a.k.a. electronic artist Glenn Adams) is Keyboard's Unsigned Artist of the Month." Adams can be contacted by email at glenn@galacticanthems.com. The Galactic Anthems CDs are available from www.galacticanthems.com, www.cdbaby.com/all/galacticanthems, and many online music download sites, such as iTunes, BuyMusic, Napster, and from www.ambient.us. Or, use the links below for downloads from PayPlay. License this music for commercial use through Pump Audio.